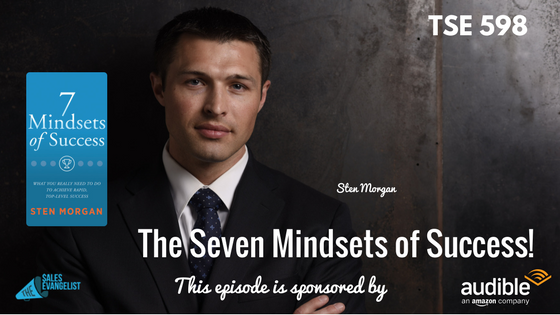 Home » TSE Podcast Post Page » TSE 598: The Seven Mindsets of Success! 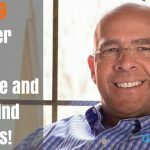 Today’s guest is a true hustler Sten Morgan who went from having $40 in his account to making a six-figure salary through hustle and hard work. As a result, he created a success story in order to forge a path for other sellers. He has also written a book, 7 Mindsets of Success which will soon be launched on the 4th of July. Sten is the CEO of Legacy Investment Planning. He started in the insurance when he was 21 and jumped into the investment side for four years until starting out his own planning firm at 25 years old. Sten shares his story of growing up in a family that struggled financially, his mom marrying five times and moving 30 times before he was in high school. But being able to start a company and being under 30 years old to be named one of the top financial advisors in the country, he felt the responsibility of telling his story and to make sure other people have the best option to do it too. At 23 years old, Sten helped a guy manage around $180 million of assets. Although he already got the license as a financial planner, he didn’t have the luxury to take 20 years to be at the top so thinking out of the box, he studied harder than anyone else and got some good training and launched his own business. New to market: The challenge was he has only been in Nashville for two years so he had zero markets. Then he got to a point that he was married and a baby was on the way so for him a failure just wasn’t an option. Don’t rest on your good looks or sales pitch because, at the end of the day, you are the product so you need to be able to back it up. Spend as much time as possible to prepare yourself so when you get the opportunity, you can close it. Truly reflect on your present decisions and hold yourself accountable to the future, even five years down the road, saying that if that person was here, is it at a good move and is it going to bring you closer to where you want to be? Train your mindset to constantly filter your decisions through this question: Am I going to be proud when I’m 80 and look back? Am I going to be telling somebody else’s story or my own? Our mindsets are constantly being influenced in either a positive or negative way. Accept constructive criticism and seek out constructive criticism. There’s always something we don’t know. Maybe 10% of what happens every day we can control or have an influence on but do not let the 90% define you. Do not focus heavily on the things you can’t control because it distracts you from the 10% and the most successful people are the ones that crush the 10%. Reset that mindset and use that as a baseline. Humans are wired to find the path of least resistance, fight or flight. Great things are preceded by something very challenging or uncomfortable. You can’t grow inside your comfort zone. The Musoji Challenge: If you take on a task so daunting that chances of succeeding are less than 50% but by accomplishing it, you open your mind to a whole new possibility for yourself. Conflict is inevitable in life, business, and success in general. If you’re not having conflict, it means you’re not trying hard enough. It doesn’t mean all conflict is to end badly but it just means it’s going to happen. Retrain yourself to say you need to try to learn something from the interaction and if they win or you win, you both lose. If you can handle conflict well, it’s going to help you (1) reveal relationships that need to end or (2) improve relationships and push you up in the organization. If your only focus on money, personal relationships can suffer to some extent. So the hours you spend each day on any task have to be so intentional and so productive that you can still be successful in your career while still be able to get home at 5:30 every day to be with your family. This is possible. Be laser-focused. Take that discomfort challenge and every thirty days, add something to your calendar that’s new, different, and that’s going to grow you. Whether you’re speaking in front of the group, taking a new sales test, hiring a sales coach, or something you’ve been avoiding, actually do it and it will change your life if you’re willing to do that. 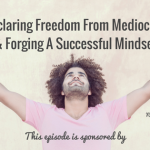 Sten’s goal is to train people on these mindsets to not only recognize them but learn how to fix them, maintain then and challenge them to be able to give back radically, whether it’s time, money, or training other people. The motivation behind everything you do has to be strong enough or else you won’t be able to hang in there when things get really tough because they will.